The last Downtown Raleigh Food Truck Rodeo of the year is this Sun. Head to Fayetteville St. from noon-5pm. to eat specialties from more than 50 food trucks. Just a piece of Foodie advice, get there early and map out where you want to eat. The rodeos have been a huge hit drawing thousands of Foodies. This Oct. rodeo is going to be great! Check out the food truck line-up. There&apos;s a lot to choose from and you&apos;re guaranteed to leave with a full belly! 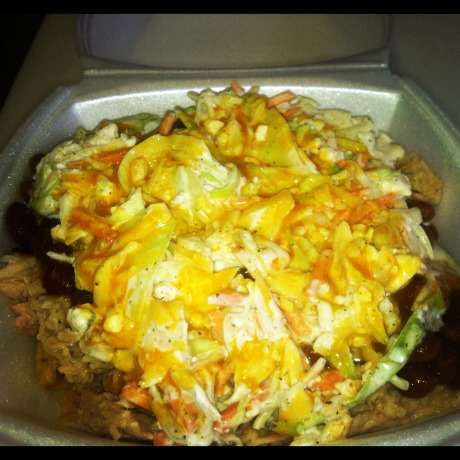 Fritos topped with Eastern North Carolina pulled pork, baked beans, blue cheese coleslaw, and sweet hot mustard. Talk about a flavor explosion. Sweet, savory and spicy all in one dish! The Fritos also add a nice crunch factor. What makes the redneck nachos is definitely the pulled pork. If you’re a barbecue connoisseur please do me a favor and go taste the juicy pulled pork at Big Mikes BBQ. You can&apos;t go wrong when ordering a Sweet Stacey Cakes cupcake. I&apos;m a huge fan of them all! The PNut Butter Baby is a rich, moist chocolate cake with chocolate buttercream icing. 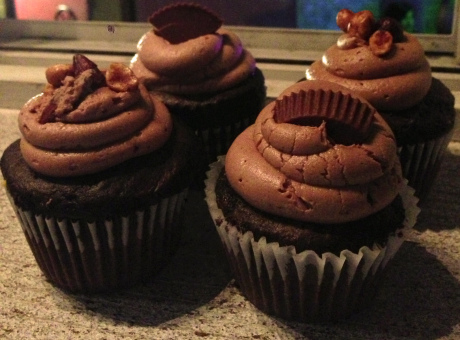 You’re in for quite a treat when you reach the gooey peanut butter filling, and I always save my topping, a Reese’s peanut butter cup, for last. Sarge&apos;s Chef on Wheels is a new spin on Asian, Caribbean and other soulful flavors. One of their signature items is the shrimp and grits. You&apos;re in for a treat; the shrimp and grits even include bacon! 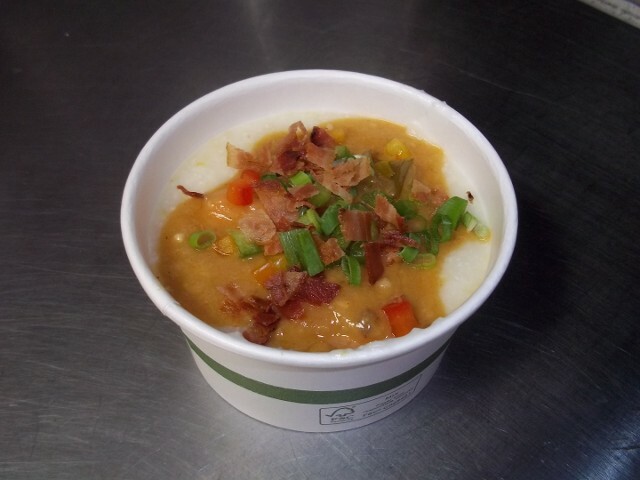 This dish will surely warm you up on a cool Oct. day.